Every citizen will be given an electronic card for all-purpose purchases. Government will provide an electronic Purchase Card to a citizen based on his monthly income. The Purchase Card will contain an assessed Purchasing Factor. Purchasing Factor depends on one’s purchasing capacity. Every citizen needs to credit a money balance. The amount of money balance will be credited as per the citizen’s wish and ability. The citizen can credit any value of his money to his electronic purchase card from registered centers. Money filling can only be done from directly debit card to purchase card. Cash money or paper money and coins will be banned to control crimes. How will the registered money filling centers get paid? The centers will be paid by the government on the basis how much money they have filled to citizens’ electronic card. So if a citizen wants to credit Rs. 100 to his electronic purchase card, he needs to visit any money filling centres. He can himself transfer Rs. 100 from his debit card to his electronic purchase card. The money-filling centre will fill exactly same amount Rs. 100 to the citizen’s electronic purchase card. The money-filling centre will not take any charge or any remuneration from the citizen for money filling in return. Rather, the money-filling center will be paid by government at any time on the basis of how much money the center has filled till date. The money-filling center will have record electronically. Also there will be a check during payment to money filling, if the centre has correct information. The centre can be caught red handed in case of false information. Suppose the money filling centre false claims that it has filled Rs. 1 million to 50000 number of citizens purchase card. The electronic data of money filling centre will be checked electronically with fraction of seconds, if misused is occurred. Because every money-filling is carried out by transfer certain amount of money from one debit card to one purchasing card. The money amount is debited from the debit card and credited on purchase card. Every such transaction will contain the debit card information and the purchase card information. The money-filling centre is basically an electronic machine that facilitates the transfer of fund from one debit card to a purchase card and secondly the money-filling centre contains all the transaction in details and aggregate transaction. So there is no possible for an owner of a money-filling centre to claim more from a government as commission. Now every citizen have the purchase card. Every purchase will be made only by the purchase card. No cash is allowed to purchase any kinds of things like bus ticket, train ticket, grocery goods, cloths, furniture, hospital bills, electricity bills … any thing. As of now citizens are used to purchase all goods with the help of cash. But, todays article, every body will purchase only with the help of his purchase card. Why such arrangement? This arrangement is made to rationalize the purchase cost. Let me explain it clearly. Any nation has millions of citizens. But, all citizens do not earn the same amount – it should not be same. Income should be different according to one’s labor, hard work, innovative, investment, honesty, skill and qualification. Since income is rational ( in other words income is not equal), so the purchasing capacity should be rational. 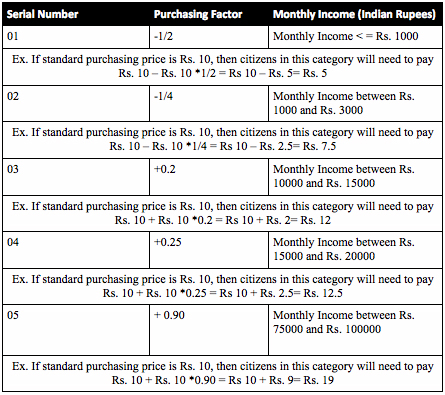 As of now, purchasing capacity is considered as equal for all citizens. Say, 1 kg wheat costs Rs. 22 for all citizens irrespective of purchasing capacity. It means, a rich citizen can purchase 1 KG wheat at Rs. 22 whereas a beggar has small price to purchase 1 KG wheat because the purchasing price is high for him (Rs. 22 per KG). If the wheat price could have Rs. 10 per KG, the beggar could have purchased it. Hence we need to rationalize the purchasing cost. Purchasing price or purchasing cost should be varied with respect to one’s earning. Less earning less purchasing cost. More earning more purchasing cost. Gradually, it will become more clear. How may it be facilitated? Citizen will go for any purchase to a merchant. He will show his card and the merchant will swipe the card and provide him the material. The merchant will know the Purchasing Factor, because as soon as the Purchase Card is swiped, all relevant information such as card balance, purchasing factor, card validity will be displayed. So the merchant will calculate the bill according to above method. During payment the bill amount will be debited from the purchase card. Now, how will the merchant get paid? Every merchant will also have Merchant’s Purchase Card and Selling Card. Merchant will purchase any goods as per standard purchase cost from framers and the producing companies or cooperatives. But the merchant cannot sell his products at standard cost. Why? The reason is already explained above. The merchant needs to sell as per rational selling cost. The more higher income citizens will purchase from a merchant, the merchant’s earning will be increased and the more poor citizens will purchase from a merchant, the merchant’s earning will minus i.e. the merchant will face a loss. Merchant payment by the government= (Sold Product 1 Quantity* Product 1 Standard Purchasing Cost + x% profit) + (Sold Product 2 Quantity* Product 2 Standard Purchasing Cost + y% profit) + (Sold Product N Quantity* Product N Standard Purchasing Cost + z% profit). 1 soap = Rs. 15. Different product has different profit percentage. Say for wheat it is 20%, rice it is 15%, toothpaste it is 20% and soap it is 10%. 100 kg wheat merchant payment= Rs. 2000 + Rs. 2000*0.20= Rs. 2000 + Rs 400= Rs. 2400. 10 soaps merchant payment= Rs. 150 + Rs. 150*0.10= Rs. 165. So total merchant payment by government= Rs 10065. So total merchant’s profit= Rs 10065 – Rs. 8400 = Rs. 1665. In this way the purchasing price remains rational. The merchants are paid with profit. Income of merchants are visible to the government. The merchants can not cheat customer as well the merchants can not can not hide their income tax and their other relevant taxes. The merchant is also a citizen. So depending upon his monthly net profit he will also hold a purchase card for his family. He will get same benefits like all other purchase card holders. Remember, purchasing card is for purchasing family goods and items for personal and family use. 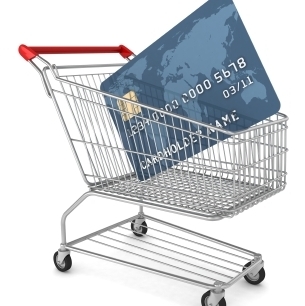 Whereas, a merchant uses different card called Merchant Purchase Card for purchasing goods for business. And merchant uses Merchant Selling Card for selling the goods. Moreover, those who hold negative purchasing factor, government allow themselves to purchase products in less price. These low cost products should be labeled properly so that they cannot sell it further. Suppose a citizen has below Rs. 1000 monthly income. So his purchasing factor is minus ½. So he can but product at half cost. These negetaive price products must be labeled in such as way so that every body will understand that these are negative purchasing factor products and cannot be sold further. As cash money and coins are banned, then how your friend will lend some money from you in case he has shortage of money in his debit card. It is simple to lend a person some money, it can be done through fund transfer from your debit card to your friend’s debit card. If cash money and coins are banned, how will a day labor get paid? The day labor will also have a debit card, so his debit account will be credited with his wages by fund transfer. Furthermore, in this way false billing can also be restricted.